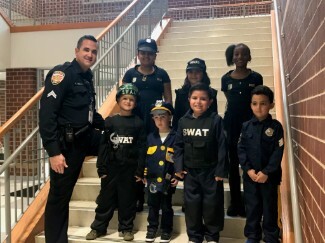 A few of our students was inspired by books they read about Police Officer and decided to dress up like an officer for our book character parade. We would like to say thanks to Officer Meinke for all he does for our school. Officer Meinke you Rock!